About Us | Pidgeon & Hill P.C. Kathryn started her career in adoption as an in-house attorney for an adoption agency 24 years ago. She fell in love with the field and has dedicated her entire law career to assisting adoptive and birth families as they navigate this highly specialized and emotional journey of adoption and serving children in need of adoption. Kathryn is a Fellow of the American Academy of Adoption Attorneys ( AAAA ). She was invited to join the Academy in 1990 when the organization was formed and has served on the Board of Directors as well as chaired the Foster Care Committee and the 10th Anniversary Conference. The Academy is an invitation only national coalition of experts in adoption law. Kathryn routinely represents foster parents seeking to adopt as well as individuals pursuing private and agency adoption, step parent and relative adoption including grandparent adoption. In addition to dedicating her legal practice to adoption, Kathryn volunteers countless hours each year to Co Chair the Maricopa County National Adoption Day celebration. Since 2006 Kathryn has co chaired this event. Two years ago she was instrumental in the formation of the Maricopa County National Adoption Day Foundation, a 501C3 charity with the mission to fund and support this event every year. NAD has been celebrated in Maricopa county for 15 consecutive years and holds the distinction of being the largest event of its kind in the United States for the past 5 years! Kathryn currently serves as the President of the Maricopa County National Adoption Day Foundation and is excited in continuing the successful event. In 2004 Kathryn was honored with the prestigious Angel in Adoption Award – a Congressional award given for exceptional service and extraordinary efforts in the field of adoption. She remains extremely proud of this honor bestowed upon her in Washington DC. 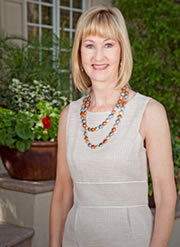 Currently Kathryn serves on the boards of several local charities including Maricopa County National Adoption Day Foundation as President, Family to Family Foundation, Arizona Friends of Foster Children Foundation as honorary past board member, and an Inaugural Board Member for the Family Formation Charitable Trust.